ciphers are quite common now on puzzling, and at first can seem quite confusing. But ciphers are bigger than this site, used worldwide by companies and secret services to encrypt data. But what is a cipher, and what's the difference between a code and a cipher? What types of codes and ciphers are there and how can I make or solve them? This guide aims to explain various ciphers, help you understand how they work, and how to decode them with or without a key. This answer is currently being split into multiple posts to improve scrollability and readability after some advice from other users. This may take a while, and apologies for the stop-start fashion of it. Mission accomplished! This answer now contains links to separate posts of different types of ciphers, so there is no character limit allowing me to elaborate in more detail and to stop you having to scroll. Thanks a lot to @n_palum for helping! Ciphers have played major parts in historical events dating back to around 1900 BCE where apparent nonsense hieroglyphics can be found. From there, ciphers have developed, a recipe found encrypted on a tablet from 1500 BCE, and Hebrew scholars using monoalphabetic ciphers in 600 BCE. Nowadays, ciphers are common, encryption used by companies, secret services and even everyday applications such as Whatsapp. 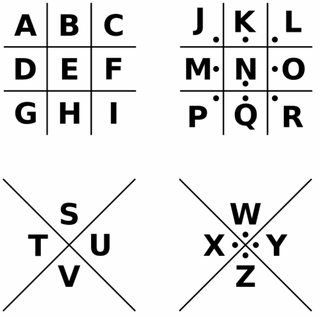 They make the world a lot more secure, but what actually are these ciphers? A cipher is, simply put, a way of hiding data using a disguised way of writing. It is usually an algorithm with the purpose of converting data to a code to stop outside parties from obtaining the data and allowing only the intended recipient access. For everyone but cryptographers, the words code and cipher are synonymous. If you were to talk about codes and ciphers to someone you'd probably find they used the words interchangeably. But there is a difference. You can see different words on their own can mean whole sentences. Codes are very common, and you use them without even thinking. A traffic light uses a colour code for the words 'stop', 'wait' and 'go'. Most people use code every day, probably including you, whilst talking in chat or texting things like 'brb', 'afaik' and 'idk'. The most common code, used for information interchange, is ASCII. The point of codes isn't really to hide data, just converting it to an easier way to transmit. A cipher, on the other hand, the ciphertext has no meaning whatsoever. Each character is replaced according to an algorithm. For instance, Morse code isn't a code, it's actually a cipher. Most ciphers were invented to hide data. Codes generally operate on semantics, meaning, while ciphers operate on syntax, symbols. A code is stored as a mapping in a codebook, while ciphers transform individual symbols according to an algorithm. There are two different categories of ciphers: Classical (pen and paper) and the more modern Mechanical (requires a machine). 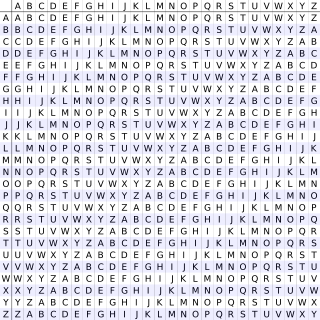 Polyalphabetic ciphers - Characters are encoded using a different alphabet. Usually position dependent. There are a few mechanical ciphers, which I will write a brief note on after the classical ciphers below. Transposition ciphers involve moving the characters in the plaintext to different positions using an algorithm. The characters themselves remain unchanged, making this type of cipher insecure for short plaintexts. See this separate answer for more details on different types of transposition ciphers. Monoalphabetic substitution ciphers replace each letter in the plaintext with a different character/group of characters. If the plaintext is lengthy then these can be easily broken by frequency analysis. See this separate answer for more details on different types of monoalphabetic substitution ciphers. Polyalphabetic Substitution ciphers involve replacing characters in the plaintext with characters/groups of characters from an alternate alphabet. See this separate answer for more details on different types of polyalphabetic substitution ciphers. Polygraphic ciphers involve having groups of characters in the plaintext replaced. See this separate answer for more details on different types of polygraphic ciphers. Other ciphers are out there and many don't fit into any of the above categories. They can be combination ciphers, combining elements above to make them stronger, or just be completely different. See this separate answer for more details on different types of other ciphers. Also, see this community wiki of other ciphers that have been missed out, and feel free to add to it! Mechanical ciphers were invented in WWII. They rely on gearing mechanisms to shift letters through an alphabet to get the final message. Most famous examples are the Enigma machine and the Lorenz machine. I won't be able to explain a machine very well, so I won't bother going into detail. See the links for more, or this list in Wikipedia. If you have the key and know the encryption method, you can simply reverse the process to get to the plaintext. However, if you have neither the key nor the encryption then you can use cryptanalysis. Total break — working out the key and the plaintext. Global deduction — discovering the method of encryption and finding the plaintext, but not the key. Distinguishing algorithm — identifying the cipher from a random permutation. Frequency analysis works best with substitutional or rotational ciphers, though both of those can have keys. Frequency analysis studies the frequency of letters in a ciphertext. Computers have calculated that in the English language, the order of the most frequent letters from high to low is etaoinshrdlcumwfgypbvkjxqz. Here is the stats for analysis on the English language, including unigram, bigrams, trigrams etc. As you can see from this graph, 'e' is by far the most frequent letter. 't' - 'r' is a lot closer. If the cipher is a substitution, and the ciphertext is quite large, then you can attempt to break the cipher. Using an online tool such as this, you can find the most common letters and most frequent substrings. The most frequent letter in the ciphertext is probably 'e', and so on. Using this you can break a cipher, or get an almost correct plaintext which you can then deduce the correct plaintext. j = 13, y=13, n=11, t=10. So we have solved it using just one substitution. This method really works best with a quite lengthy ciphertext and is almost useless with short ciphertexts. The calculation itself is complex. Here is the calculation, in its most basic form from Wikipedia. The basis is that by splitting the ciphertext into groups of x, and stacking them, if the key length = x then the I.C. will be around 1.73 (index coincidence of English language). If it isn't the same as x it will be around 1. We can see that 5 and 10 are the closest to 1.73, and as 10 is a factor of 5 then the key length will be 5. The Kasiski Examination is another way of deducing the key length. Works best with longer ciphertexts, though a computer is then usually required. The Kasiski Examination finds the repeated strings in the ciphertext and the distance between them. The distances are likely to be multiples of the keyword length. Finding more repeated strings means it is easier to find the key length, as it is the highest common factor/greatest common divisor of the distances. 'abcdef' matches 'crypto' the first time, but for the second crypto the key is 'efabcd' and as a result, the ciphertext doesn't match. You can see that 'abcdab' lines up with 'crypto' both times. And hey presto we get a repeat in the ciphertext: 'cqwmtn'. Ask some experienced users for help in chat! We'll be more than happy to help. Community Wiki of less well-known codes and ciphers not included in Beastly Gerbils answer. Feel free to add to it. The tap code is a way of communication using just taps or knocks. It can also be represented by dots in writing. A 5x5 Polybius square with numbers down the side is used. The person taps the town number, pauses, and then the column number of the letter.
. .....  .... ...  . ...  . .  ... .....  . ..... / ... ...  ... ....  ..... .. The pigpen cipher is a symbolic cipher that uses symbols to replace words. It is also known as the tic-tac-toe cipher. 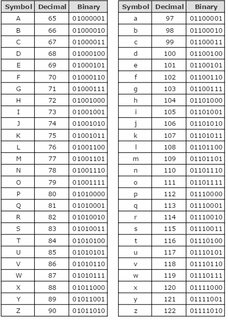 This is the 'modern' cipher used commonly. The 'public key' is a large number available to anyone (e.g. On a companies website). This number is special because it only has four factors including 1 and itself. 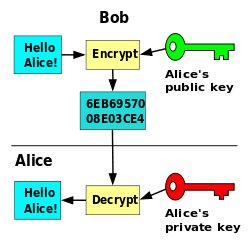 The 'private key' is the two numbers that are the other factors of the public key (Not 1 or itself) When multiplied together they produce the public key. This is a very secure method because it is very hard to find factors of large numbers. This is an encryption method commonly used by messaging, video messaging and radio services such as WhatsApp and Skype. Your message is sent and is immediately encrypted using a lengthy and unique key. The resulting ciphertext is sent. If intercepted, then the message can not be read. The message is received and decrypted using the same key. The message is then displayed. Only the intended recipient can read the message. NOTE: These ciphers often involve aspects from other ciphers, so I advise you read those first. Both these ciphers were introduced by Germany in WWI, and are named after the possible characters in the ciphertext. The difference between them is that ADFGX uses a 5x5 Polybius square, whereas ADFGVX uses a 6x6 including number 0-9 and i isn't merged with j. The affine cipher is a monoalphabetic substitution variant that uses mathematics. For english, A=0, B=1, ..., and Z=25. We now need three numbers, $a$, $b$ and $m$. $m$ = number of letters in the alphabet, 26 for English. $a$ and $b$ can be any numbers between and including 1 and 26. $a$ can't have any common factors with $b$, it must be relatively prime. $p$ is the plaintext letter as a number (A0-Z25), and $c$ be the ciphertext letter we are trying to find. The message is INFORMATION LEAKED. COVER TRACKS. $a$ = 5, $b$ = 7. The bifid cipher uses a 5x5 Polybius square but with numbers. It is unusual as it first enciphers a message, then re-enciphers it by breaking up the result into 'periods' and using the reverse. Fractionated Morse converts plaintext to Morse, breaks it up and converts it back again using a mixed alphabet key. The straddle checkerboard cipher is very strong. The key is a random alphabet permutation and 2 numbers 0-9. A secondary cipher usually comes afterward as well. Random key 'kwqynoctaiprhdgevuljmzxfsb' and two random numbers 2 and 9. The alphabet key gets filled, but on the first row, the number columns are left out. They then form rows and the rest is filled in. Trifid is similar to Bifid, but uses 3 3x3 squares formed of all 26 letters + '.' instead. Each letter gets replaced with square, row, column numbers. The result is split into periods, joined and converted back using the same squares. The two and four square ciphers use either two or four 5x5 matrices filled with 25 letters (i is merged with j or q is omitted), often formed using keywords. Both split the plaintext characters into pairs (digraphs). Each character in a digraph is found in a square, and where they intersect vertically and horizontally is the ciphertext. In two square, if the pair is inline, they stay unchanged. This makes four square more secure. The hill cipher uses a matrix as a key. It can be any size square, usually a 2x2 or a 3x3. The plaintext is split into chunks the size of the matrix size (digraphs for a 2x2 matrix, trigraphs for a 3x3 matrix, etc.) The characters are then converted to numbers using A=0, B=1, ..., Z=25 forming a second matrix. The matrices are multiplied, and the result modulo 26 gives the ciphertext. The playfair cipher also uses digraphs, and a 5x5 square usually formed with a key (j combined with i). If there are consecutive identical letters in a word (e.g 'hello') replace the second occurrence with 'x' ('helxo'). Append an 'x' to the end if the plaintext has an odd amount of characters. Pairs on the same row get replaced with the character immediately to the right, wrapping over from the right-hand side to the left-hand side. Pairs in the same column get replaced with the character immediately below, wrapping up from the bottom to the top. Now examples of rules 1, 2 and 3. 'IN' is in the same row. We take the letter on the immediate right and wrap over for 'I' as it is on the far right. The Atbash cipher is easily broken as it just reverses the alphabet so A=Z, B=Y, ..., Z=A. This is then usually followed up with steganography to hide the obviousness of the cipher. There are a lot of other ways to hide the cipher, such as bold, italic, a certain letter etc. The Caesar Cipher is the eact same as the ROT cipher. Each letter is 'shifted' x places through the alphabet. e.g. A becomes D because A+3 = D.
A common way of encoding text on puzzling, though less applied in real life nowadays, is to convert the plaintext to a symbolic language such as Braille or Morse. Numbers are letters a-i with the numerical indicator ⠼ beforehand. n -. o --- p .--. q --.- r .-. s ... t - u ..- v ...- w .-- x -..- y -.-- z --..
0 ----- 1 .---- 2 ..--- 3 ...-- 4 ....- 5 ..... 6 -.... 7 --... 8 ---.. 9 ----. Some other common ciphers simply convert a message to an alternative language such as ASCII or different bases, such as binary, octal, hexadecimal or base64. 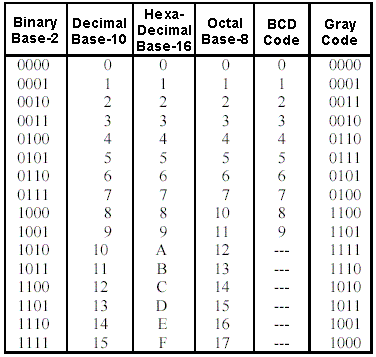 Bases vary from Base 2 (binary) to Base 64. Here is a conversion table for the most common. There is also Base64, which is very long and complicated. Deusovi is thankfully going to post an answer explaining these elements, which I admit I don't have great knowledge on. The Polybius Square is a famous cipher and is used in many other combination ciphers. It uses a 25 letter square with all the letters of the alphabet (i+j merged) to replace each letter with 2 others. The sides of the square are assigned a letter A-E. There will be only 5-6 unique characters in the ciphertext, which makes it easy to identify. A message is encoded by finding the letter in the square and taking the row then column letter. The ROT cipher stands for 'rotational cipher'. The cipher can be ROT1 to ROT25 and letter are rotated the rot number through the alphabet. The most famous rot cipher is ROT13 which can be encoded and decoded the same. The ROT cipher is the same as the Caesar shift cipher. The ROT cipher is similar to the Caesar shift cipher, but rotates in the opposite direction. This uses a jumbled 26 letter key. Like the name suggests it is very simple. If the plaintext is long it is insecure and can be easily broken through frequency analysis. The plaintext letter is changed to the letter that matches from the key. This cipher is similar but more secure than Vigenere. It involves a giant square (26x26) called the tabula recta and a key-word. The plaintext is written after the key. The whole plaintext is written underneath. For each column, we take the pair as the column and row number. So we find 'I' on the rows, then the column 'W' (vice versa also works). The intersection is 'E'. This cipher is similar to Autokey but with a repeating key and a different algorithm. Uses the tabula recta too, I won't repeat it see above. 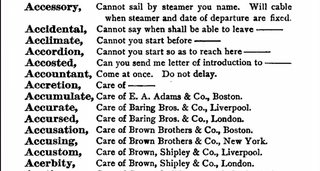 Finding the plaintext letter in the columns, and moving down until the second letter is reached, by moving all the way to the left to the rows the ciphertext letter is found. So finding 'I' in the columns and moving down until 'W', it is found it lies in the 'O' row. The key and plaintext work the same as Beaufort. Running Key is the same as Vigenere cipher, but uses a long key not a repeated one such as a book extract. It uses the tabula recta and works the same as Autokey. Vigenere and Gronsfeld are identical, but Gronsfeld uses a number key instead of a letter one. There is a repeated key. The plaintext letter is then rotated the position number in the alphabet of the corresponding keyword letter. It also uses the tabula recta. We find 'I' in the columns of the tabula, and 'W' in the rows to get the intersection 'E'. Columnar Transposition is a simple and easy to use cipher. However, it is rather weak and easy to break. The plaintext is written in a rectangle reading across the rows. The keyword is written across the top so each column has a letter assigned to it. The columns are then rearranged in alphabetical order, and the text is read down the columns to form the ciphertext. We have the message INFORMATION LEAKED. COVER TRACKS. The key is "FOUND"
There are two cases: regular and irregular. The ciphertext is the same just minus the null characters. However, it is harder to decrypt because the number of characters in the ciphertext is not a multiple of the characters in the key, so it is unknown which columns contain more characters. This cipher is very easy, and extremely simple to crack. We have the message INFORMATION LEAKED. COVER TRACKS, and a key of 4.
i . . . . . a . . . . . e . . . . . o . . . . . a . . .
. n . . . m . t . . . l . a . . . c . v . . . r . c . .
. . f . r . . . i . n . . . k . d . . . e . t . . . k .
The route cipher can vary in difficulty to break. Badly chosen keys can leave whole words in the ciphertext, or words reversed making it very simple and easy to crack. However, a good key can leave the ciphertext a complete jumble. The plaintext is written in a rectangle reading down the columns. The ciphertext is formed by going round the rectangle in a certain fashion, described in the key. You can see that is not the strongest key, because this key leaves 'info' unmoved, which can give someone an indication of the way to crack it. Not the answer you're looking for? Browse other questions tagged cipher knowledge puzzle-creation or ask your own question. You've got an 11.111111% chance to solve this!